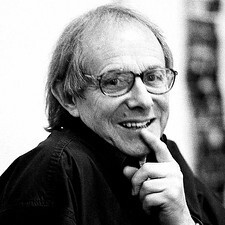 Ken Loach is Britain's most famous – and often controversial – director, known for his social realist directing style and socialist politics. Given his approach, it's quite fitting that he has made some of his finest films available on YouTube – for free. The Ken Loach YouTube channel gives you access to his early major films, including Cathy Come Home, a 1966 BBC docudrama that portrays a young couple grappling with poverty, unemployment, and homelessness, and also Kes, a 1970 movie that's now ranked seventh on the British Film Institute's list of the Top Ten (British) Films. But you wouldn't want to miss Loach's more recent films. And the new YouTube collection doesn't disappoint. It features Hidden Agenda (1990), a political thriller that won the Jury Prize at the Cannes Film Festival; Riff Raff (1991), another prize winner that takes a hard look at the working class in the UK; and Ae Fond Kiss (2004), which delves into what happens when a young Pakistani man enters into a relationship with a Caucasian woman in Glasgow. We're adding the Loach YouTube channel to our Smart YouTube collection, and his individual films to our collection of Free Movies Online. A big thanks goes to Natalie in the UK for this great find. And be sure to check out her tea-loving blog at afternoonteatotal.com. I am looking for the interview with actor Bill Dean that he gave with regard to his role in Ken Loach’s film Family Life. I remeber seeing this way back in 1971, but cant seem to find it now.